Move over Textured Vegetable Protein, there’s a new meat substitute in town and this one is soy-free and gluten-free. What is this magical product? neat! 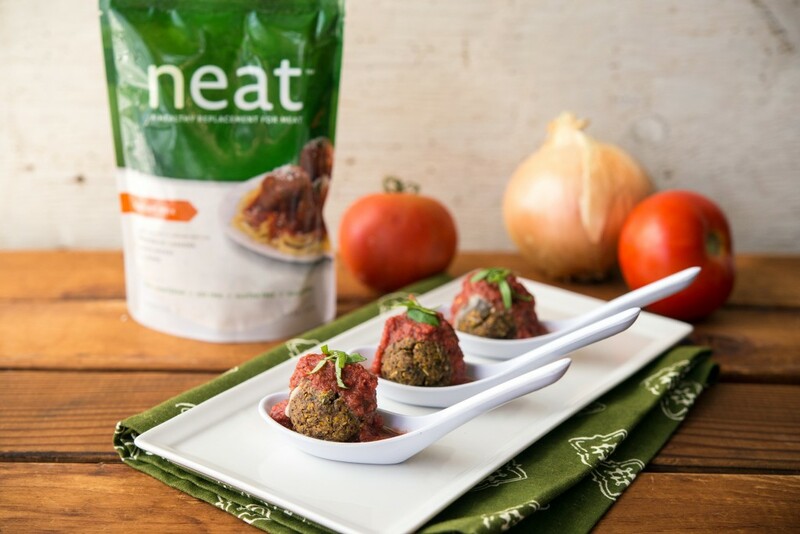 “A healthy replacement for meat,” neat is made up of pecans, chickpeas, and gluten-free whole oats plus spices that differ depending on which flavor you get. 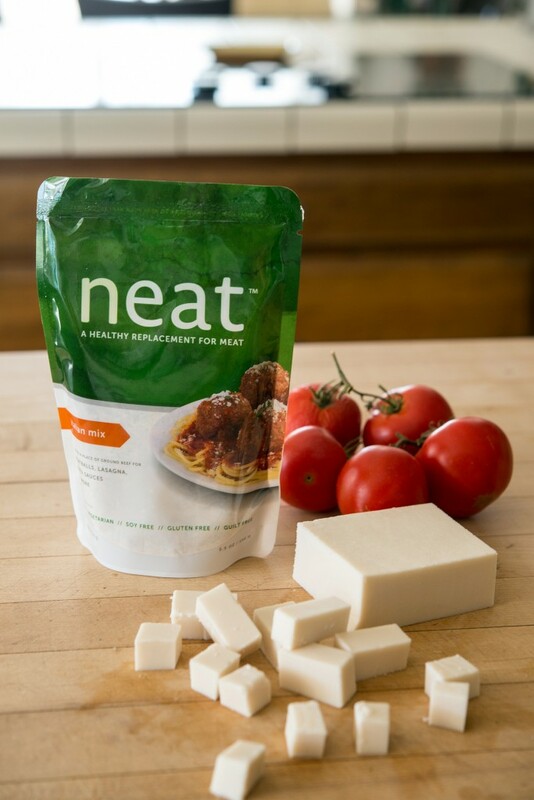 All you need to create a ground meat-like concoction from neat is water and 2 egg substitutes like The Vegg or even homemade flax eggs. Seriously, it is that easy. Of course, you can add some extra spices and ingredients to customize it to your liking, like I did in my recipe for Mozzarella-stuffed neatballs. I followed the recipe for neat balls that is on the back of the Italian mix package, but used 2 egg substitutes, a small amount of nutritional yeast—you could throw in a little of your favorite vegan parmesan as well—and some salt. Let’s not forget that there’s some delicious vegan mozzarella in the middle of each neatball, and they’re topped with a simple marinara sauce. Serve these bad boys in some small appetizer spoons and garnish with basil for an easy, tasty, snack for party guests. Aside from the easy construction of this product, I really like how clean the ingredients are and how many ways you can use it. The Italian mix could be used in spaghetti sauce, as a seasoned burger, neatballs (as shown), ravioli filling or whatever else your heart (or stomach) desires! Serve this supremely tasty and easy-to-make neatball recipe for your next dinner party! Place the Italian neat mix, Ener-G egg replacers, nutritional yeast, water and salt into a mixing bowl and knead together until combined. This will create a thick "dough" of sorts. 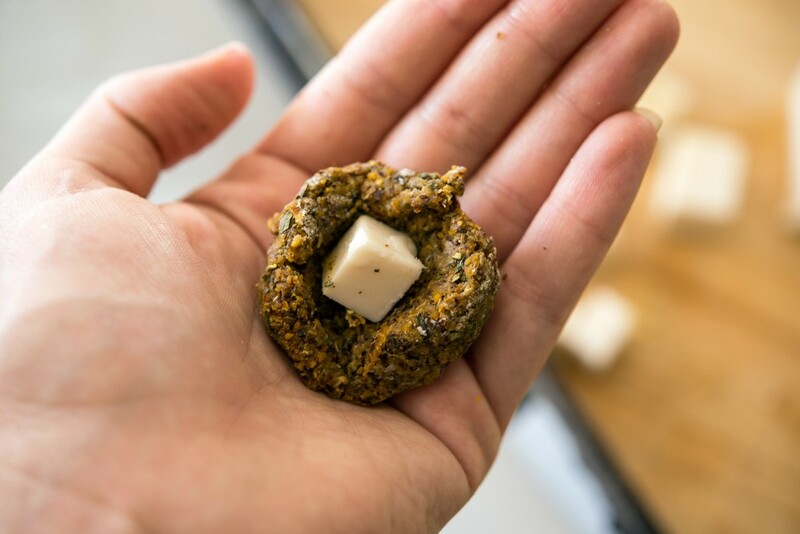 Take the neat meat out in 1½ tablespoon-sized clumps at a time, and using moist hands mold it into a small patty. Holding the patty in the palm of one hand, press your other thumb into the center to create a large dimple. Place the cheese cube in that dimple and mold the neat meat around it, making sure that there are no holes for the mozz to leak out of. Repeat until all of the neat meat is used and place all neatballs on the baking sheet. Bake for 15-18 minutes or until the tops are starting to brown. 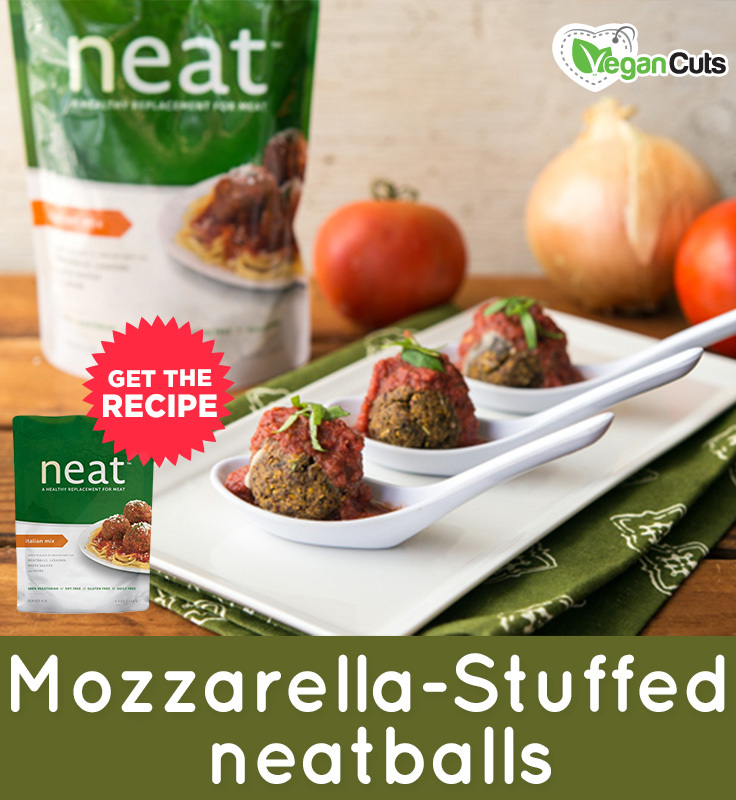 While the neatballs are baking, place the all of the marinara ingredients into a blender and puree until smooth. Pour the sauce into a saucepan and bring to a simmer. Cook for 10 minutes or until the sauce has thickened. 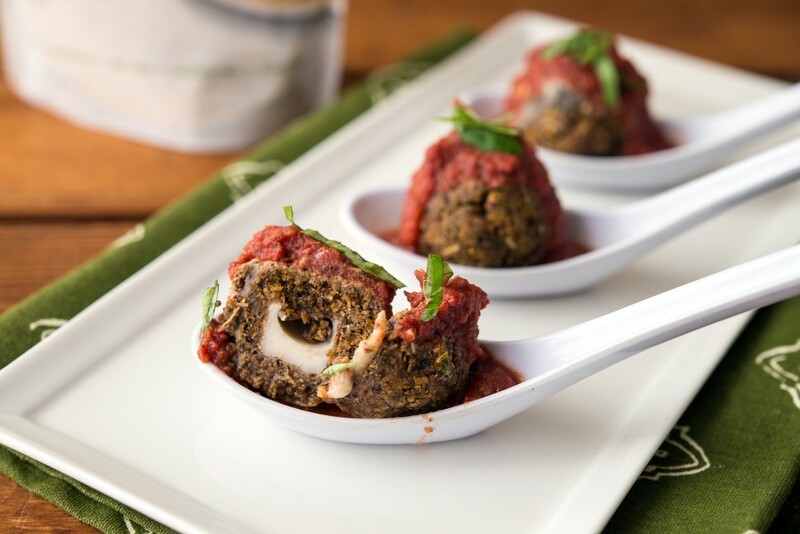 Once the neatballs are done baking, place each one in a small dish or appetizer spoon, then pour a little marinara over the top and garnish with basil. Serve immediately.